Monsters director Gareth Edwards shows Mark Kermode how he made the monsters in his own bedroom. 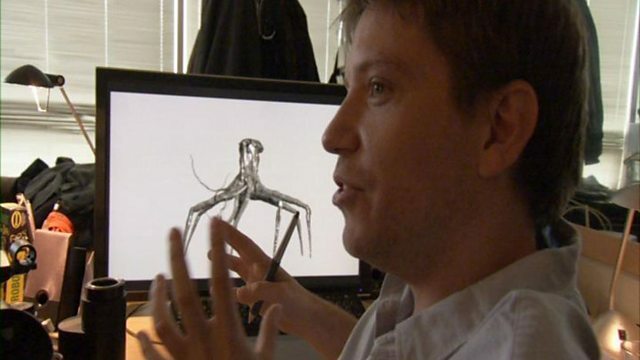 He takes him on a journey from the initial drawings to the computer software used to translate them onto the big screen. Doodles to designs - designs to digital clay - digital clay to moving tentacles!